Throughout the Qur’an several of the Ten Commandments are repeated, including the commands to “serve no other gods” (24:55), refrain from making idols (4:116), not covet (4:32), not murder (6:151), and honor one’s father and mother (6:151). In the Qur’an one can read about such familiar OT stories as Noah building the ark and preaching judgment to his generation (11:25–49; 23:23–32); Joseph being betrayed by his brothers, sold to a caravan of travelers, and brought to Egypt (12:7–21); King David’s adultery with Bathsheba (38:21–25); the queen of Sheba’s visit to Solomon (27:22–44); and Jonah being swallowed by the great fish (37:139–148). There are times, however, when the Qur’anic version has surprising departures, historically and theologically, from the biblical account. For example, Abraham is asked to sacrifice Ishmael rather than Isaac (cf. 37:100–111), and Jesus Christ is not accorded his full status. 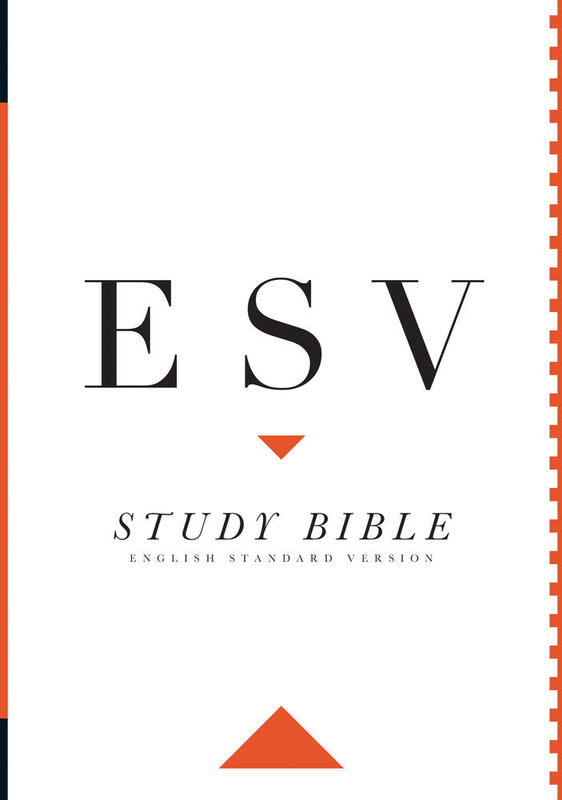 ESV Study Bible The ESV Study Bible—created by a diverse team of 95 leading Bible scholars and teachers—features 20,000+ study notes, 80,000 cross–references, 200+ charts, 50+ articles, 240 full–color maps and illustrations, and more. There is no single Islamic attitude toward the use of violence, and scholars of Islam are divided over the extent to which the Qur’an permits or even advocates violence against unbelievers. The Qur’an asserts that there should be “no compulsion in religion” (2:256) and peacefully calls or invites (dawah) people to follow Islam (16:125). 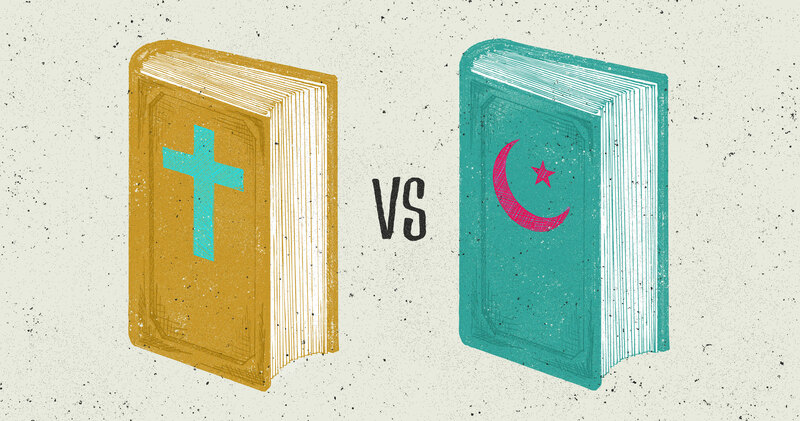 The Qur’an also permits the use of violence in certain circumstances (8:38, 39; 47:4), and two texts in particular have sometimes been cited as justification for violence against unbelievers (9:5, 29). Historically, the Islamic caliphate extended protected status (dhimmi) to other monotheistic religions and prohibited the exercise of violence against them as long as a special tax, known as jizyah, was paid. Islam generally embraces the honor of martyrdom and affirms that integral to Islamic faithfulness is a struggle (jihad) against idolatry and unbelief. Some Muslims emphasize the “higher jihad,” which is nonviolent and focuses on the internal struggle within the individual to live in purity. However, many Muslims accept the use of violence in certain instances, especially against kafirs (or unbelievers). In the last few centuries more radical groups, such as the Wahabis and Salafis, have accepted violence even against other confessing Muslims who behaved in ways they deemed idolatrous. Most recently, the growth of extremist movements such as Islamism, the writings of intellectuals such as Sayyid Qutb (1906–1966), and the emergence of terrorist networks such as al-Qaeda (lit., “the base”) have served to make the use of violence more widely acceptable. Historically, Islam has envisioned the unity of civil and religious life under the all-encompassing guidance of Islamic law, known as Sharia. Until modern times, the only acceptable form of Islamic government has been the caliphate, which unites civil and religious authority under the rule of a caliph. Sunnis and Shiites differ as to how this caliph is chosen. Over the centuries, Muslims have lived under a wide range of caliphates including the Rightly Guided Caliphs (7th century), the Umayyads (7th and 8th centuries), the Abbasids (8th to 13th centuries), and the Ottomans (15th to 20th centuries). In 1924 Kemal Ataturk, the president of Turkey, constitutionally abolished the caliphate. Several contemporary Islamic movements have encouraged political pluralism and even acceptance of religious diversity. However, since the 1970s more Islamist movements have emphasized the need to assert Islamic hegemony and to resist the secularization of Islamic governments. This article is adapted from Timothy C. Tennent’s article “The Bible and Islam” in the ESV Study Bible.